GQ Heating Ltd is a multi trade company servicing The Greater Glasgow Area and beyond. We offer a comprehensive range of services such as plumbing, heating, gas, electrical, joinery, tiling and much, much more. For more about our services, click here. We strive to deliver the highest standard of work to all of our clients no matter the size of the job at hand, wether it is a blocked drain or a full bathroom renovation, we have you covered. 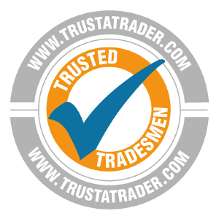 We have a number of recognised trade qualifications and are Gas Safe Registered, TrustMark registered and are members of TrustATrader. For our TrustMark and TrustATrader profiles, please use the links below. 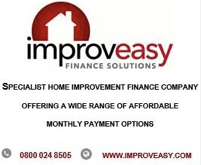 We are partnered with Improveasy Finance Solutions, who are a specialist home improvement finance company who offer a wide range of affordable monthly payment options to help better manage the cost of services we offer. For complete information about our policies and the Data Protection Act, click here. We look forward to hearing from you. If you'd like to get in touch please click here. Offering our services throughout West Scotland, Greater Glasgow and all surrounding areas. 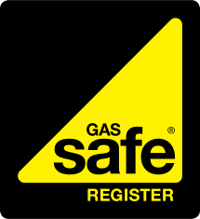 For your peace of mind, we hold recognised trade qualifications and are Gas Safe Registered. Whether it's a small boiler issue, full heating installation or any plumbing related jobs our engineers will arrive smartly dressed to your property and be ready to assist you. GQ HEATING LTD 773311 is an Appointed Representative of Improveasy Ltd., a company registered in England and Wales (Co. Reg. number 7807352). Registered Office: Manchester Business Park, 3000 Aviator Way, Manchester M22 5TG. 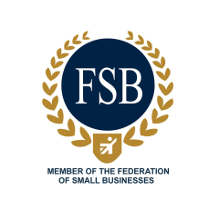 The firm is authorised and regulated by the Financial Conduct Authority (FRN 708623). The firm is authorised as a Lender (limited only to green deal finance plans). It also acts as a Broker, not a Lender, and offers credit facilities from a panel/one lender. The credit is subject to application and status. For details of our Privacy, please click here. We hope and expect that you will have no cause to complain about any aspect of our service. If, however, there is anything at any point that does not meet your expectations, please consult the FCA Complaints Handling Procedure here.